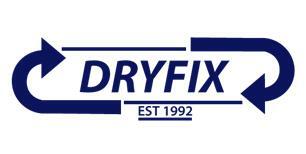 Dryfix - Fascia/Soffits/Guttering, Roofer based in Wheaton Aston, Staffordshire. My name is Anthony Page and I'm the owner of DRYFIX, your friendly, reliable and family trusted roofing company. Established in 1992 with 26 years’ experience in all aspects of roofing and UPVC roof line. We aim to give all our customers the quality workmanship, value for money and honest advice that they require and deserve. We make it our goal for you to recommend us further.